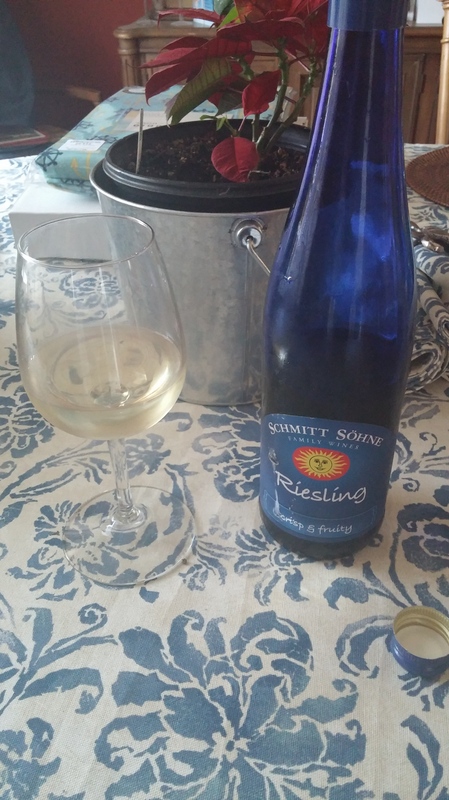 I had wanted to talk about a Riesling since I started this blog. And the timing couldn’t be better. Recently, I was introduced to the German tradition of drinking May Wine. And I’m so happy I was. I like the concept of steeping herbs, plants, and flowers to enhance a beverages taste. It’s akin to how we prepare our teas. I had heard of sweet woodruff before, since its a part of my Iranian culture in various festivities. But little did I know that it’s significant in spring time celebrations, when infused in sweet white wines! And it’s great to hear about it’s health benefits. With all that being said, what bottle did we used for the first of many celebrations? 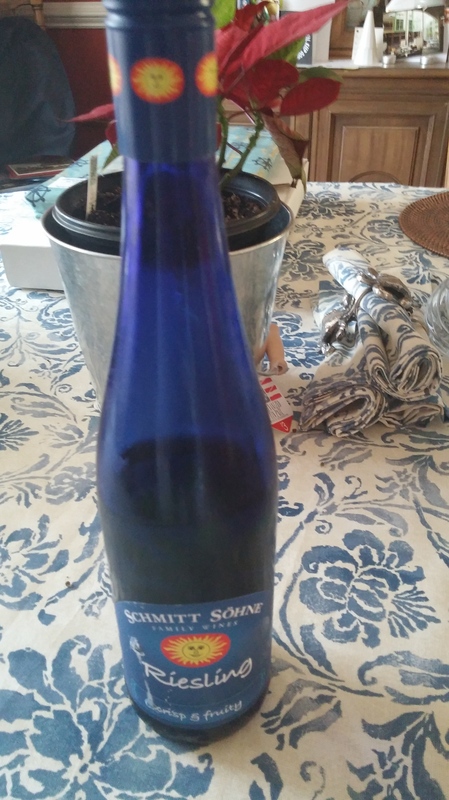 You’ve probably seen Schmitt Sohne in your local beer and wine shop. As the look and label really leave a lasting impression. How was our Riesling? It was tremendous. But I had to do a quadruple take. I didn’t realize they had four varietals! I’m intrigued. The Crisp and Fruity label helped me decipher what may be contained inside. The synopsis mentions apples and peach aromas. I detected what may have been those fruits, or others. But the woodruff really intensified the flavor and that’s what resonated. I was blown away by how good this tasted. This wine went down very easy. And how beautiful is that color? 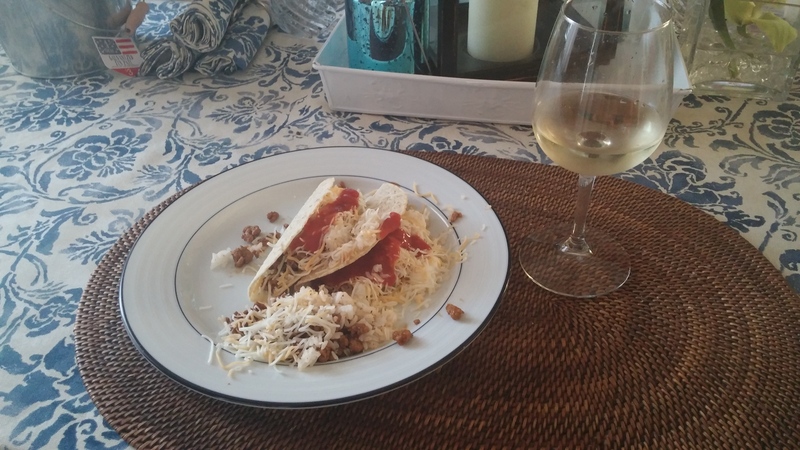 I enjoyed my glass with a nice meal of ground turkey tacos with Mexican rice. This is a bottle that can be enjoyed with virtually any meal or by itself. And as the weather brightens, those meal selections will rapidly expand. 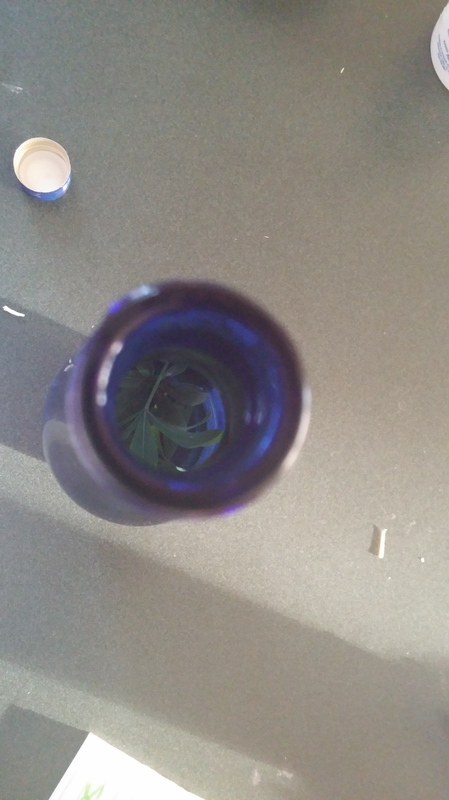 I included my attempt at an aerial view of the herb inside the bottle. How cool is this? May Day can be celebrated throughout the Spring and into the Summer. And I cannot wait to try more white wines with this amazing flower permeating on the inside. And you can bet more this awesome vineyard will be included. Enjoy the rest of May and the warm months ahead! That’s my absolute favorite wine!